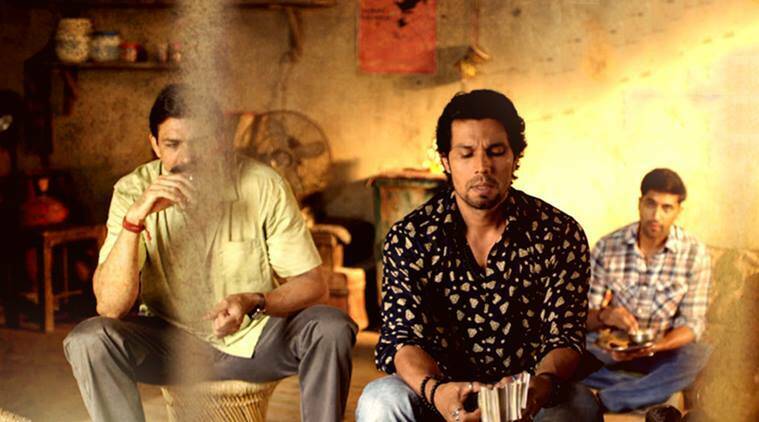 I would have never watched "Laal Rang" if it would not have had Randeep Hooda in it and that's the sole reason why I invested my 2 hours this weekend on this movie. And once again the actor have left me speechless with his great acting talent and skills. Though I have watched him enough this year with Sultan, Do Lafzon Ki Kahaani, Main Aur Charlie but still it was a delight watching him play a criminal in Laal Rang. He is so convincing in his character that you get ready to even forgive director for ruining the movie in the end. The film has great plot which could have been treated with seriousness even in the 2nd half but the way melodrama like every Bollywood even dominates this one kills a good movie. The movie is about blood bank scam where Randeep Hooda is alreadya champ. This another person who sees him closely gets fascinated by his lifestyle, bike etc. and decides to join him in this scam to earn big bucks. Eventually, both of them start doing the whole business together until one day Rajesh starts demanding more money which leads to fight between both the characters. Rajesh gets caught by the police. And the story goes on from here from making this good set-up end in a bromance. This could have been a good thriller if writers and director would have concentrated little more on 2nd half. The songs are fine but they spoil the flow of the story every now and then. The Haryanwi accent is necessary because of the background but it becomes too much after a time. If you will not concentrate even for a second, you will not be able to understand what exactly has been said. The performance of Randeep Hooda is amazing as I have already discussed. Akshay Oberoi is a surprise who have actually matched Randeep in this movie. Pia Bajpai as a debut is just okay. I give this 2.5 stars out of 5. It can be watched once definitely.